Howdy everyone! Remember a while back I mentioned I would show you my creation using Beatriz' (Iralamija's) beautiful tags (the one she so kindly gifted to me). Well, I've finally photographed my creation, and here it is! In addition to the lovely tags, I used a pretty vintage cream paper from Echo Park, and a soft pink paper from the Cotton Tail Collection by WRMK. 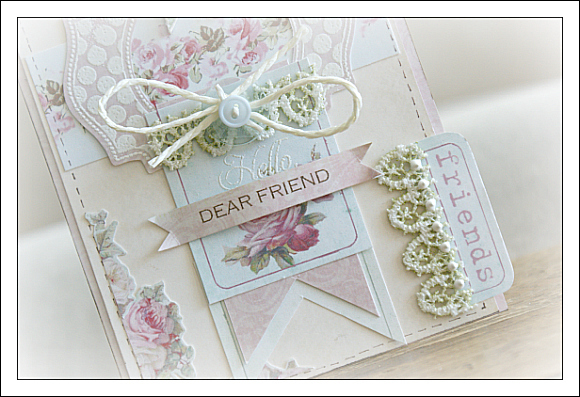 I wanted to use one of my favorite TCM stamps on this card (from the Lovely Labels 18 set). 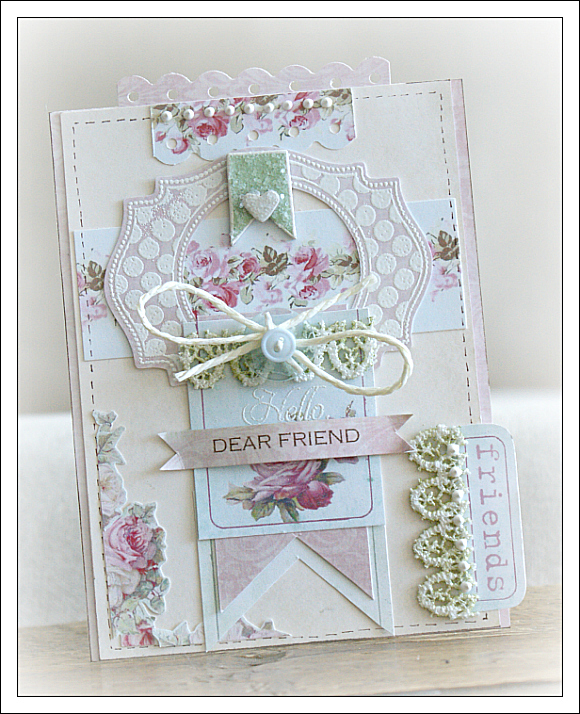 It is such a versatile set with so many wonderful label designs and wonderful sayings. I embossed the image in white (although not very well - can you see my poor embossing on the upper corner? ooops) and then cut it (by hand) on the outside and inside. The little pennant is from this Love Banner Maya Road set, painted in green and cream , and glittered with a chunky glitter. For the lace, I tried I new technique...Sort of by accident. I wanted to add a bit of green to the card, so I inked the lace with embossing ink, and covered the lace with a lime green embossing powder. It was lovely, but slightly over-powering for this soft card. So I turned it around, and found that the green on the other side provides an ever-so-slight shading, which is just the softness I was looking for! I used Bety's tags a few different ways on the card. I separated the words from the rest of the tag so that I could add a little tab on the side of the card. I also cut out some of the pretty roses so that I could layer them onto the creamy card base. 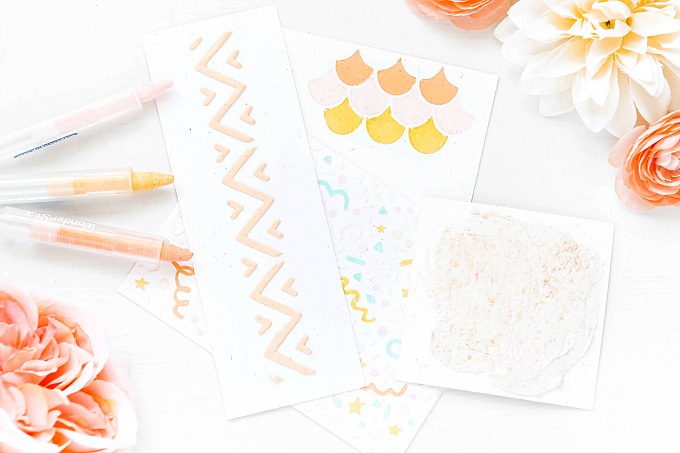 I love playing with these beautiful images and if you want to try it out, you can purchase the tags here, and once you have the file, simply print onto card stock and enjoy! Before I go I have one more thing to share...A continuation of my wedding blogging journey. I was perplexed about what topic to cover next - nonetheless, I've added another post to the DRW blog, and you can find it here! p.s. I will be away from blogging for the next few days, but join me back here on the 16th - the first preview day for the new TCM stamp release!! I have a few projects to show, so be sure to come back and visit! Soooo divine Ivana! 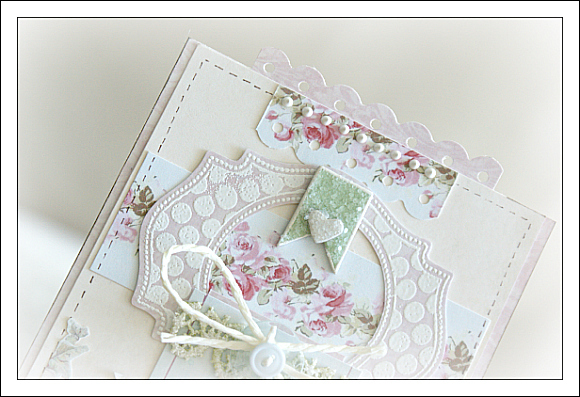 Gorgeous embossing too, love all of those layers! I love this hybrid tag and all the little tips and tricks that make it all you !!! I have been out of pocket since the holidays so I am going to have to catch up on the wedding plans! So happy for you love! I LOVE this card Ivana!!! I've always liked Iralamija's site...and this gives me wonderful new ideas. Thank you, thank you!!!! This card so amazing! I love every single little detail!